Career Opportunities | Hupy and Abraham, S.C. Working at Hupy and Abraham Interested in working at Hupy and Abraham? Watch this video to learn about our law firm and what it would be like to join our team. A career at Hupy and Abraham, S.C. is very rewarding, helping injured clients navigate through the complicated insurance and litigation process to get what they deserve. You may have seen one or two of our commercials with William Shatner from “Star Trek” and “Boston Legal.” Does “Voted Best, Rated Best”, “Largest Personal Injury Law Firm in the Midwest” and “Tell Them You Mean Business” sound familiar? We are more than just slogans. We are the top-rated personal injury firm in the Midwest who has a large support staff that cares about our clients who we serve. Our staff is expected to provide an exceptional client experience to every client, while managing their own caseload in a fast-paced environment. The ability to prioritize, organize, move cases forward and remain adaptable are traits that we look for in candidates. If you are committed to providing an exceptional client experience and want to help injured individuals, we encourage you to click the link below to view our current career openings. Watch the video below to learn what it's like to work at Hupy and Abraham. Hupy and Abraham has a long track record of being involved in and giving back to the community, from scholarships, to safety initiatives, to providing food for the hungry. 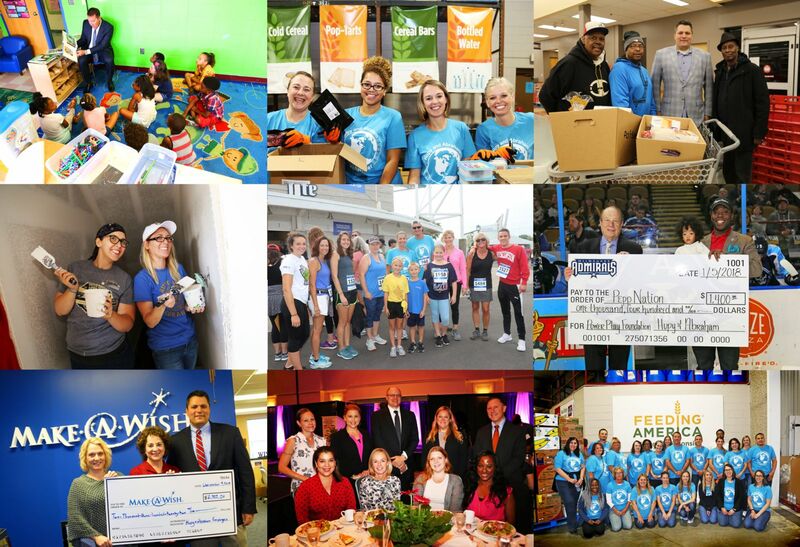 Our firm is a longtime supporter of thousands of organizations and has donated MORE THAN $1 MILLION over the years. Our employees have dedicated many hours volunteering time outside of the office. Hupy and Abraham plans to uphold the promise to give back to the public and will maintain our efforts at impacting the community for the better. Hupy and Abraham is dedicated in its commitment to both clients and the community for decades to come. Hupy and Abraham, S.C. is proud of the recognition our firm and team members have received over the years. Our personal injury law firm has been named to the Milwaukee’s Best and Brightest Companies to Work For list, honored by the Wisconsin Law Journal with the 2018 Diversity in Business Award, and received the Milwaukee Journal Sentinel’s 2018 Top Workplaces Award. In addition, our firm and team members have been recognized with over 250 awards.